Our private waterfront view room is comfortable for groups up to 50 people for a business meeting, or family celebration. We are committed to providing you and your guests a perfect experience with custom menu options. Please call 206-824-1947 to book private dining. 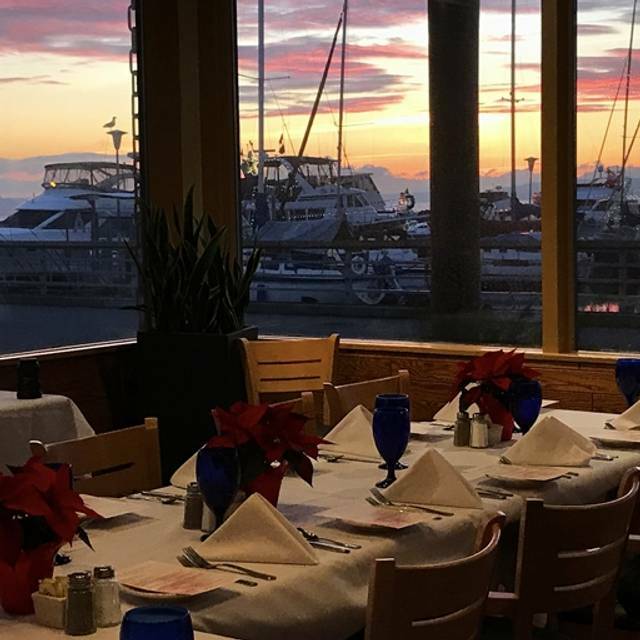 We are a locally-owned, waterfront restaurant dedicated to giving our guests a truly Northwest dining experience. 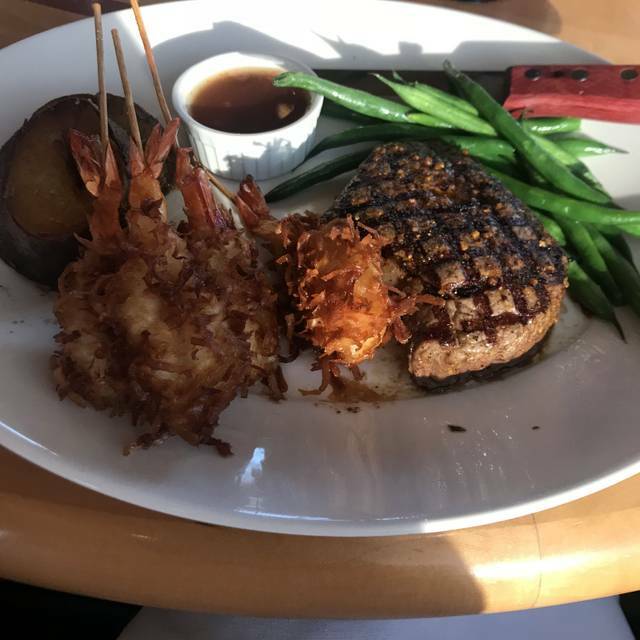 Anthony’s has earned the reputation for the finest fresh seafood, perfectly prepared and expertly served with an uncompromising commitment to quality and value. 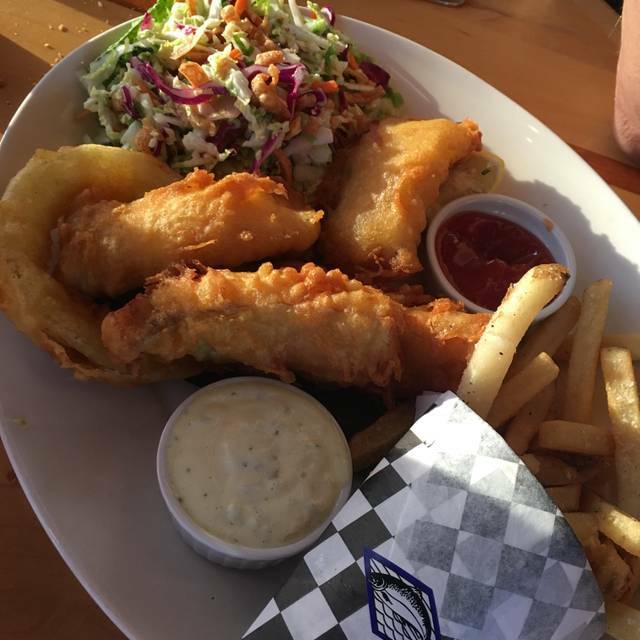 We feature fresh seasonal and sustainable fish and shellfish from our own seafood company accompanied by Northwest wines and micro brews as well our "Best of the Season" produce featured in our house-made desserts, salads, entrees, and beverages. 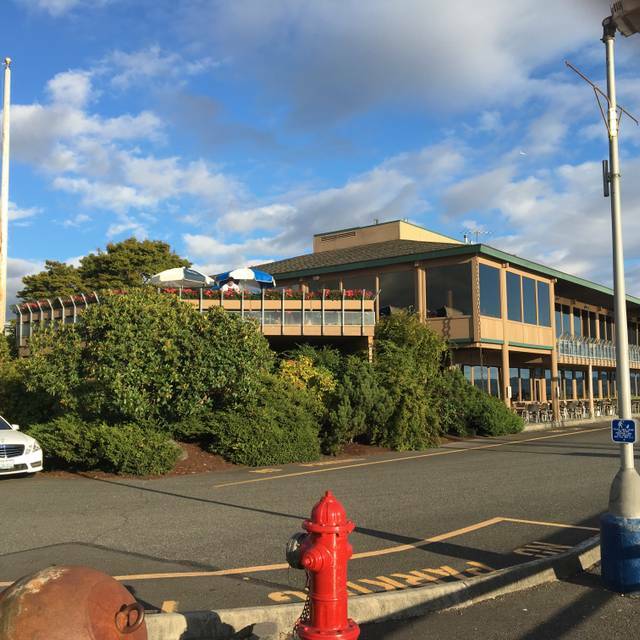 Anthony’s in Des Moines features a lovely panoramic view of Puget Sound and the Olympic Mountains. Open daily for lunch with a casual style no reservation necessary restaurant on the first floor featuring seafood, pastas, salads, burgers and fish tacos. We went to Easter brunch today. The food was great, and the service was incredible from the receptionist to the bus boy, to the waitress. The manager even came by to make sure everything was ok. We love Anthony’s Sunday brunch because they bring fresh fruit and blueberry coffee cake while you are waiting for your meal. This brunch you order off a menu, it is not a buffet. Just another reason we love it. Lovely view, great food, especially the Baileys mouse, very nice ambiance. Not much busy, yet service was slow. Got 3 burnt cream for dessert, after the 2nd scoop you can tell it’s not fully cook. Made me sick after dinner. The view at Anthony's Homeport in Des Moines is lovely, which makes the ambiance very pleasant. We had an excellent server (Tre) who took great care of us. The food was good, not great, but we all enjoyed what we ordered - and with a party of four we ordered different selections so we had a taste of most of the different courses. Food seemed a little slow coming out, especially considering the restaurant wasn't super crowded. I would recommend the restaurant, especially for a sunset dinner. Nice restaurant in a great setting. The food was great and the service was very good. I’d go back again! It is normally a really fun place to visit, but make sure you ask them ahead of time if they are hosting a large party. When we went there, there was a raucous loud party there that made talking to each other difficult at our table. Some of the guests with us had to take out their hearing aids because it was such a cacophonous amount of noise coming from the party they were hosting. The food was pretty great, and the staff tried to accommodate us as best they could. They did comp our appetizers, but honestly for such an expensive meal, I would have much preferred sitting somewhere else, or if they had simply told us there were no seats available, because it was unlike any previous experience I have had at Anthony's HomePort. Usually it's a very pleasant experience, and the aesthetics of seeing the setting sun in the marina is very peaceful and pleasant, but it was ruined this time. I did have just had one issue on our visit. We had a reservation and asked if we could wait longer for a table with view. The young lady then took us to our table after a little bit longer wait and sat us in front of window but that looked directly at a column and to have a view I had to sit next to another column behind us. There was a table next to us that was perfect for a couple and was empty. I asked if we could sit there instead and she said, it isn't ready and rushed off. Well 5 minutes later it was ready for another couple. My husband and I have difficult schedules and had really been looking forward to our dinner with a view. Our server was quite nice but I was just really disappointed with the initial experience. We again would have waited and it was just a quick brush off. I would pass along to your front desk team to be more problem solvers and go the extra mile. There were no others waiting for tables at the time when she showed us to ours. And it was like, i have to hurry back to the desk. Food, service and view were all fabulous! Definitely a great place for a meal. I’ve heard good things about this restaurant for a couple years. Finally went to experience their restaurant week menu. 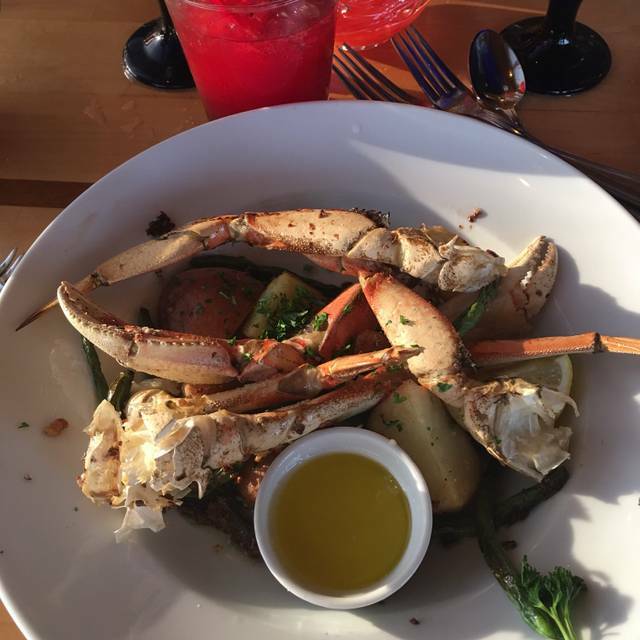 The service was great, had a beautiful view of the marina and the food was fantastic. I would recommend for any occasion and will definitely be back. Our server was excellent. Everything was quite good. Beautiful view. After about 10 min of being there a loud group of people came in, made it hard to hear each other. But it wasn’t the restaurant’s fault. I went with my coworkers here for the Seattle Restaurant Week special, and the ambiance was great and the food was fantastic for the price. I would definitely recommend going here, getting a window table, and with your coworkers! Excellent food. Asked for a table by window and got a beautiful view! Food was served in small portion for a grand price for a plate. (Food was cold). They have this nice offer where you get a starter, entree and dessert. 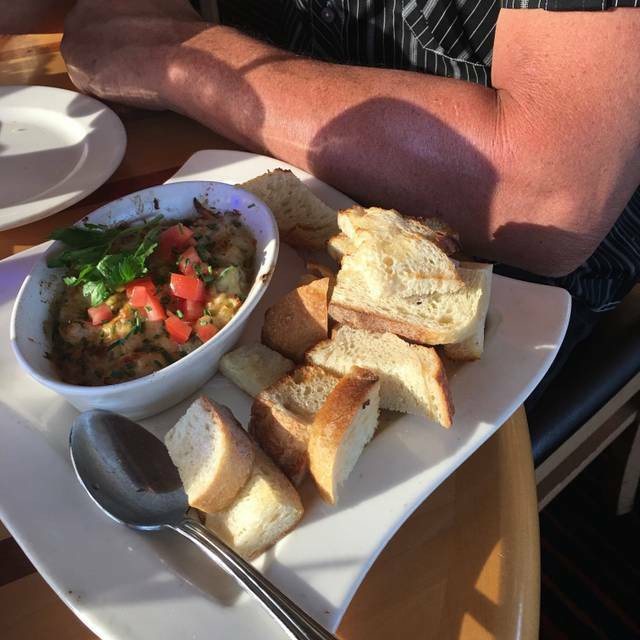 Waitress never brought my husband chowder as he sat there watching me eating my starter. :( was charged for it anyways. Employees were pretty loud when they were having personal conversations. I thought this was fine dining! Also Asked for a nice view and gave me half a view. After all this I regret leaving a $15 tip. Ehh, I’ll just pretend it was for parking. We always enjoy eating at Anthony’s. Great food and William served us well and made us feel special. Terrible experience. I often take my boat to Des Moines for lunch and dinner and always have guest with me. This past experience has forever changed my opinion of the Des Moines, Wa Anthony’s. I brought my fiancé down for a Sunday night dinner and was denied service after having made a reservation online. I booked a reservation for 8:45 on Sunday. When we arrived we were not greeted and I had to flag someone down to get a greeting as we waiting at the desk for 5 minutes. When the manager arrived she said that they were closing and I was directed to go down stairs and “have a cheeseburger” I go to Anthony’s for seafood, not cheeseburgers. After spending thousands of dollars with that location already this year for business and pleasure I would expect some kind of accommodation.. There was NONE. She did not offer another day to come in, she did not offer gift certificate for wasting our time, there was no level of service AT ALL. We were there for Sunday Brunch and the omelet with the crab was amazing! Our server was nice and since they only serve bunch upstairs it was light and airy with a nice view. We will come back for another brunch! We had a really good meal. The view was great, and we had excellent service. My wife’s halibut was amazing. My top sirloin was overcooked and underseasoned. The food was great as usual, they were sadly understaffed, which meant long waits. Found the service a bit intrusive, and the server brusque and unfriendly. Hospitality started at the front door. Our server was very knowledgeable about the food and wine. We were early guests so chose the four course, prix fixe sunset dinner. This is a great deal with great food. The crab fettuccine was well seasoned and not too overly rich. The wine list features many regional wines. 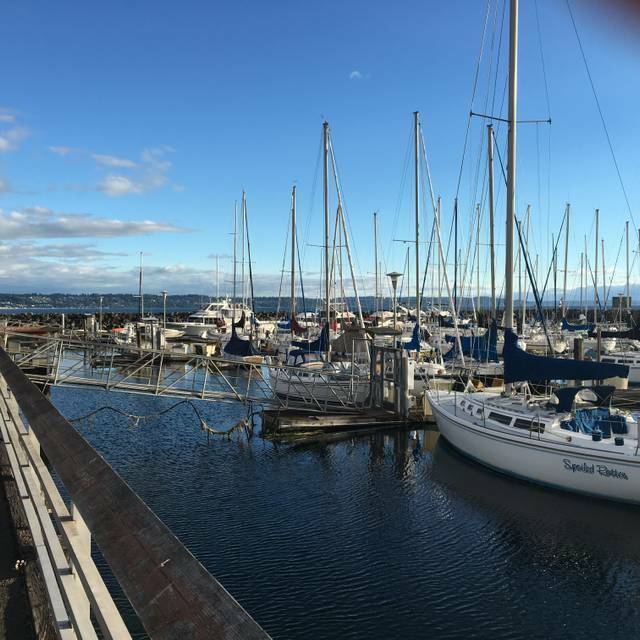 We had a spectacular view of the water and the Des Moines Marina. Although the dining room was quite full, the noise level was low and not distracting. We will definitely return when we are in the area. My husband's steak was grilled perfectly! My fish was cooked perfectly, too! I would recommend Anthony's HomePort in Des Moines to everyone!! We had friendly and fast service which we appreciated because we only had 45 minutes to order, dine, pay and leave due to other obligations. We’ve sat in the bar area on Sundays and relaxed the afternoon away sipping on amazing cocktails and chatting with the bartender and locals too! The location is great, but I would recommend eating at the restaurant on the main floor, I think the value would be better. Crab shrimp open face brunch item, contained about 1/2 teaspoon of crab, 4-5 baby shrimp and the rest was mayonnaise sauce and artichoke. Not worth it. Great seafood! They accommodated my request to substitute tempura asparagus for the zucchini. It was superb! Toward the end of our visit the shades were raised so the setting sun was directly in our eyes. Our server, Jamie, fixed them for us but the original employee raised them again almost immediately. We had planned to stay longer for drinks and maybe dessert, instead we cut our stay short. A bit disappointed at the end. The food was excellent. The wait staff was extremely attentive and friendly. 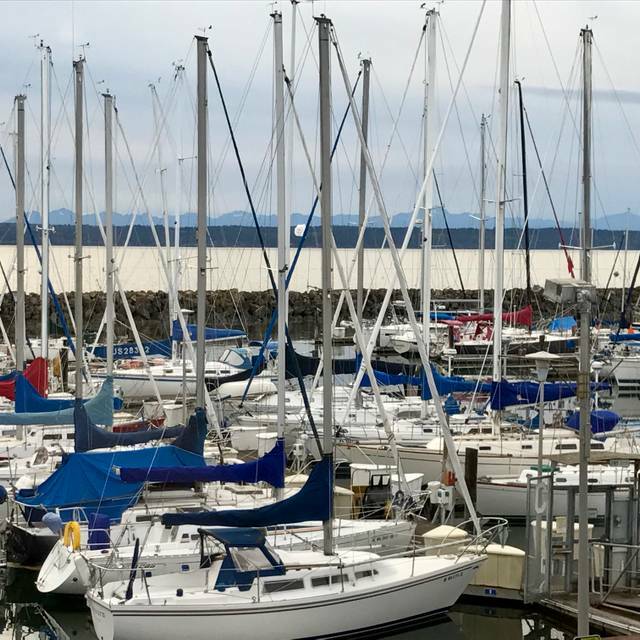 The view of the marina and Puget Sound was spectacular. Always a good meal at Anthony’s for a price lower than the competing restaurants nearby of similar quality. Oysters were really good that night. Always like they’re great sourdough bread. Kinda disappointed, we haven’t been to this particular site in a while. Oysters were delicious but the rest of the menu was boring. Not sure if it was due to ‘Oyster Fest’ or not. Anthony’s will always be one of our favorite restaurants. Always good food and great service. The only problem we had was assigning us a booth instead of a table as we requested. The staff did make the change so that we had a table next to a window. The food was excellent as usual, the view outstanding since the sun was still out due to the recent time change. Would recommend this restaurant to anyone. Sunset dinner is always wonderful, however, they took my favorite meal off of the menu. Sole in the sour cream and dill sauce. We took friends visiting from Phoenix. They gave us the most amazing table, our waitress was awesome and the food was excellent. We enjoyed Sunday Brunch. We liked the ease of making reservation online. The view was fantastic overlooking the Marina. Nice selection on the menu. My husband thought the coffee service could have been hotter and offered more. We both enjoyed the fruit plate offered as well as the great coffee cake. The Ambiance was pleasant and easy to carry on a conversation. My husband had the french toast and had the scrambled eggs with (interesting) cheese (fogot the name of it). It was a little on the rich side for my taste. All in all it was a good experience and we definitely would come again for the water view. Had a lovely birthday brunch here with my sisters. 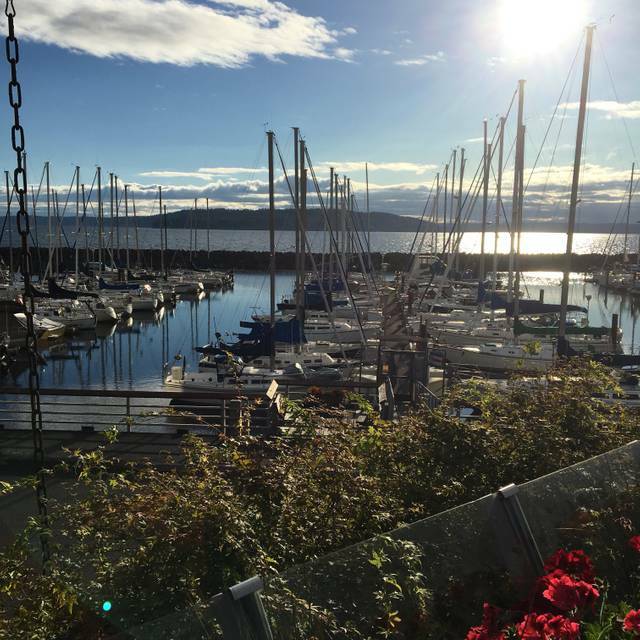 Both the food and view were great and we will definitely be back again...highly recommend! Food was hot and fresh and we did not have to wait long at all for our food! WE came to Anthony's HomePort to celebrate our 46th wedding anniversary. The staff was wonderful and very helpful. The food was delicious and perfectly prepared and served. Our table was great and the views of Puget Sound and the Olympic Mountains were just what my wife wanted. It was an evening we will remember for years to come. We may come again soon for another anniversary. Leron was our waiter and all smiles and attentive. Crab was all smallends drowned in butter in a bowl. This pleace has lost its staus. Noisey, floor was dirty, vibe was stressed. After years.. we are done. Other places still have the need to impress. This place is resting on an old prestigious legacy.